Editor’s Note: The author of this article, David Kandler, is founder, owner and president of CompanyNewsletters.com, an Internet firm that produces newsletters for companies throughout the United States. Learn more about how his firm can help your company produce printed and electronic newsletters. The best way to make your company, employee or customer newsletter eye-catching and attractive to readers is to use lots of photos. A text-heavy publication is boring to look at, but when you have photos and graphics on each newsletter page to break up the text, it will look much more inviting to read. Also, readership studies continually show that articles that have photos or other graphics included are more likely to be read than those without. At CompanyNewsletters.com, we recommend to our clients to use at least one photo per newsletter page, preferably two or more. Here are some tips to help you and your coworkers capture the best photos for use in your company newsletter. • Use a quality digital camera, not a cell phone or tablet, to take photos. 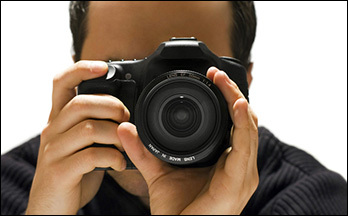 Most of the photos in your newsletter will likely be taken by employees using a digital camera. Whenever possible, you should use a stand-alone camera for photos rather than a cell phone because most cell phone cameras don’t have as good of lens, image sensor or flash range as most stand-alone cameras. That’s why photos usually look better when taken with a regular digital camera. If you don’t have a company camera available for employees to use, consider purchasing one that you can keep on site at all times, so it’s convenient for employees to borrow it to snap photos at company events, which may later be featured in your newsletter, or to take photos to accompany articles in the newsletter. Also, make sure you select at least a 5 megapixel camera. The megapixels refers to the resolution of the camera, and the higher the number, the better. If you have a newer camera, that shouldn’t be a problem because most current cameras have way more than 5 megapixels. But if you have a camera that is many years old, you’ll want to check the resolution and upgrade if necessary. To get the sharpest photos possible, be sure to set your camera to the largest possible picture size, which is also the highest resolution. • Make sure your photographers have their cameras set to the largest picture size and highest resolution as possible. Even if you are using a high resolution camera, you may have the camera mistakenly set to take at a lower resolution or smaller picture size than the camera’s maximum. To get the sharpest photos possible, be sure to set your camera to the largest possible picture size, which is also the highest resolution. This is important because high resolution photos will look the best in your newsletter, and we can run them larger in your newsletter, when necessary, and they’ll still look crisp. Conversely, low resolution photos often look “fuzzy,” “pixelated” or “jaggedy” and this will detract from the quality of your photo. Lack of resolution is the most common problem we see when clients send us photos, so it’s important to remind all employees who will be taking photos for your newsletter to make sure their cameras are set to the largest picture size and highest resolution possible. • Get close to your subject so the subject fills most of the frame. A common mistake made by amateur photographers is that they stand too far away from their subjects. For instance, if you’re taking a photo of your CEO speaking from a podium on a stage, you don’t need the whole stage in your photo. Stand close enough or zoom in so the CEO and podium fill most of your frame. Likewise, if you’re taking a photo of a group of employees, stand close enough so the group fills out most of your photo frame. • Even if you only need one photo of a particular subject to run in your newsletter, take multiple shots of your subject, from different angles and using different poses, if possible. This will give you a nice selection of photos to choose from. For instance, if you need a shot of an office coworker who is being featured in a newsletter article, take some shots of her at her desk and maybe some additional close-ups of her standing in from of a plain background, such as a white wall. 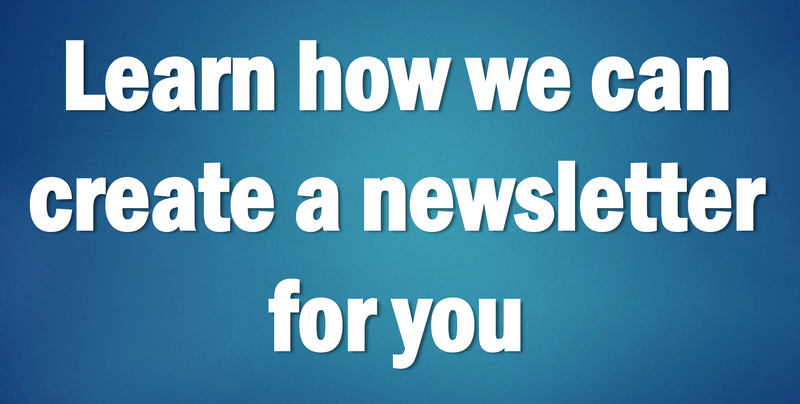 Then you can choose the one that turns out the best to run in your newsletter. Also, when taking multiple shots of the same subject, you’ll have backup photos in case you find one, for instance, in which you later notice that a person blinked when the photo was taken. It’s much easier to take multiple shots the first time, then to go back later and retake a photo because one didn’t turn out well the first time. The tips above are the same things that professional photographers do when taking photos that are featured in newspapers and magazines. These tips can help you and your coworkers, as well, take higher quality photos for your company newsletter, which will in turn, make your newsletter much more attention grabbing and inviting to read.